What a nice name to be given to a city! After Zagreb, we took one and half hour car drive to arrive in Ljubljana. 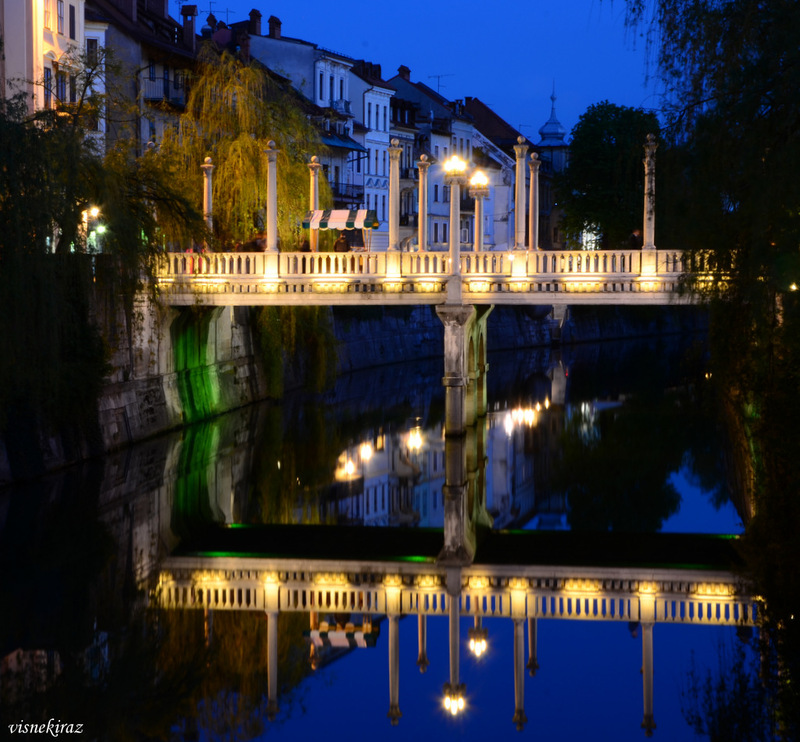 Ljubljana is a city from a fairy tale with its castle at the top, the houses and narrow streets from middle ages. It is very quiet and peaceful. 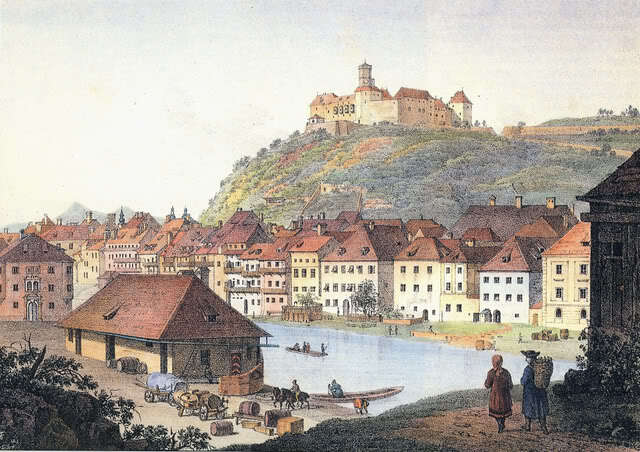 The castle is at the top of the island which is in the middle of Ljubljanica River. The bridges are the beautiful ornaments of the city. 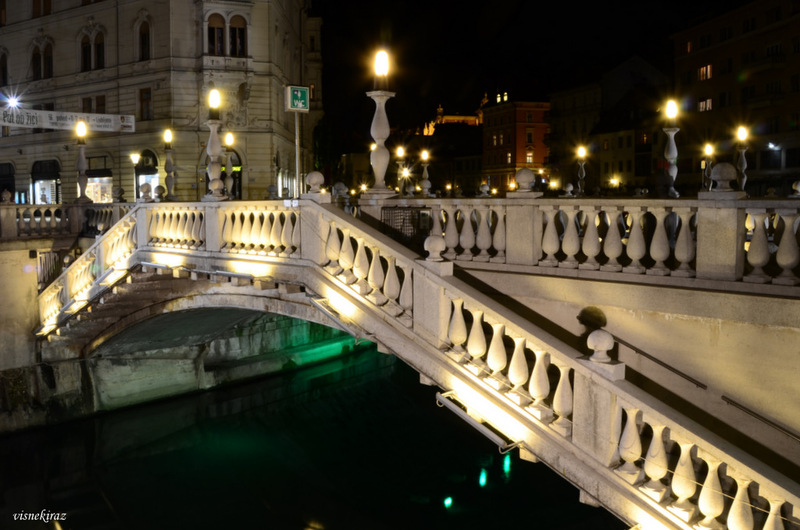 There are several bridges over Ljubljanica River. The most important ones are: Triple Bridge, Shoemaker’s/Cobbler’s Bridge and Dragon Bridge. 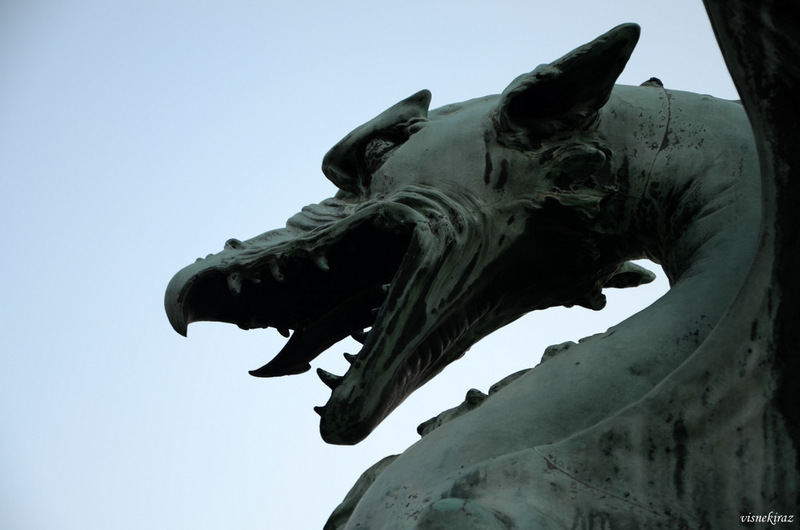 The dragon has long been a symbol of Ljubljana. 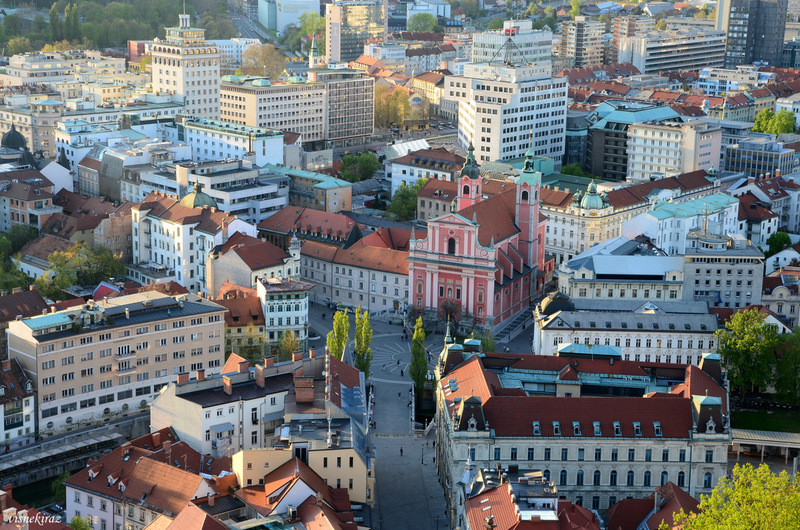 The origin of this city’s symbol can be traced to the myth of Jason and the Argonauts, who supposedly encountered the Ljubljana dragon on their way to the Adriatic Sea by way of the Danube and Ljubljanica Rivers. Ljubljana Dragon, who benevolently protects the city of Ljubljana and is pictured in the city’s coat of arms. 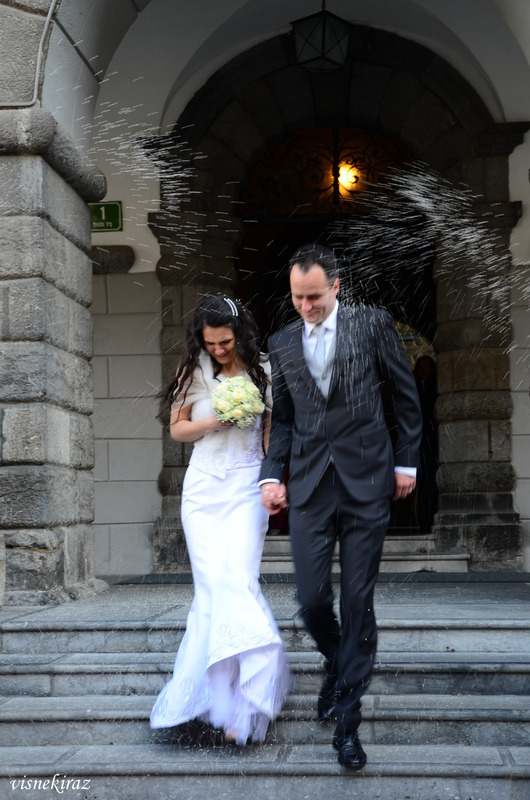 While I was waiting for my friends, I witnessed a wedding in front of the Town Hall. The guests were waiting for the bride and the groom. One of the guests gave me one palm of rice to throw over the couple to bless their marriage with happiness and richness in love, children, money etc. I met with my friends on the Triple Bridge. We climbed up to the castle together. It was an easy walk and you see the panoramic view of the city as you rise. The castle is open until 9 p.m. There are many restaurants inside the castle garden. We visited the clock tower and the church of the castle. We took the lift while leaving the castle. 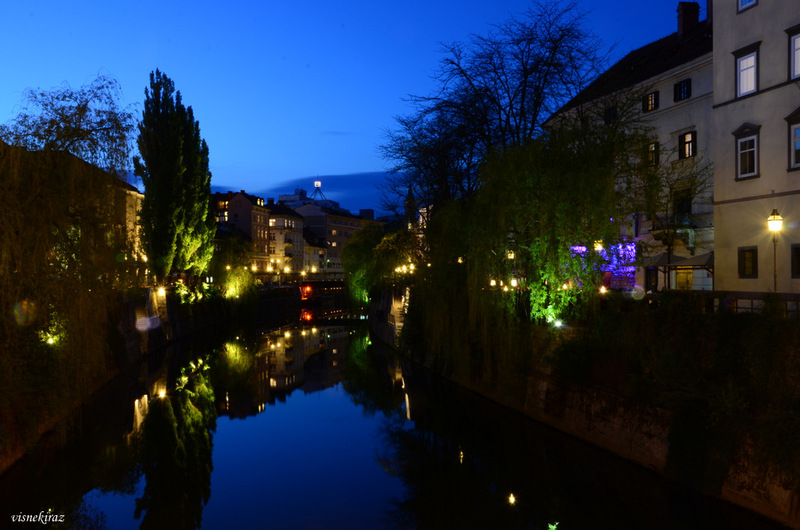 You should chill out along Ljubljanica River and drink something before you leave the city. The next morning we were on the way back to home via Trieste. 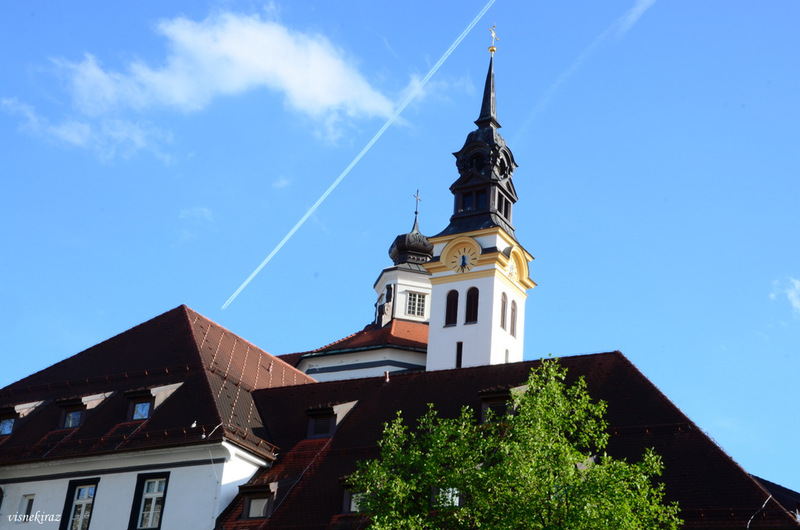 Duration: One day is enough for sightseeing in Ljubljana. Transportation: I arrived to Ljubljana from Zagerb via rental car. It takes 1 and half hour by car. Do not forget to buy Vignette since you will use Slovenia’a highway. Accomodation: I stayed in Vila Veselova. It is one of the nicest hostels I have ever stayed, clean and cosy. It takes 5 mins to main square on foot. You can walk to everywhere in Ljubljana.